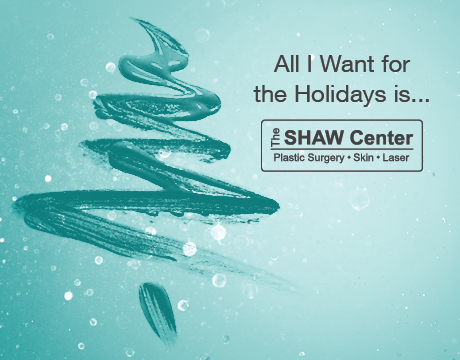 Whether you’re seeking a mommy makeover or just overall fed up with the appearance of your stomach despite your best diet and exercise efforts, The SHAW Center has a solution. Abdominoplasty, or most commonly referred to as a “tummy tuck,” can resolve even the most stubborn fat deposits. Not only can a tummy tuck enhance the appearance of your midriff, but also provide additional benefits, such as the ones outlined below. Vaginal birth can sometimes cause bladder control issues, or incontinuence, which can then lead to leakage through sneezing, coughing exercising and in some cases, laughing. While dieting and exercising can aid in physical appearance, some women who’ve lost a significant amount of weight or who have had multiple pregnancies can experience their stomach muscles becoming swollen. Improved posture and support can help in relieving back pain. At times having a weak abdominal can cause hernias to form. 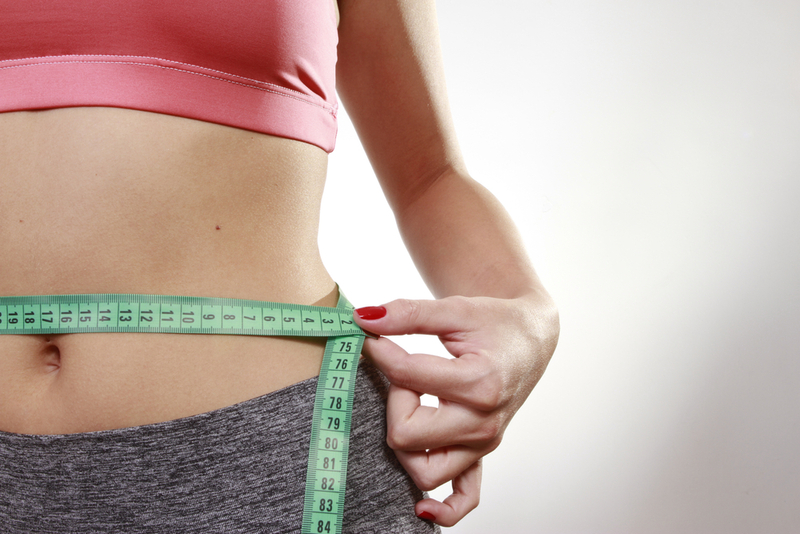 Excessive weight loss can tend to cause abdominal weakness, but a tummy tuck can help to correct this. Aside from the obvious benefit of a tummy tuck in helping to improve the appearance of your stomach, undergoing this procedure can also result in a multitude of other advantages as well. As Summer quickly approaches, our skin can begin to suffer some serious side effects from the Arizona sun. It’s more necessary than ever to protect our complexions from the harsh rays that can eventually lead to sun spots, overall sun damage to our skin, and even worse… skin cancer. It’s essential to take preventative measures in our day-to-day routines, and we can do so by adopting even the smallest of changes into our beauty regime, such as wearing makeup that employs an SPF or applying sunscreen daily. Below are some more ways you can protect your skin from the Summer sun this go around! One of the more obvious ways to guard your complexion from intense sun damage is to simply cover up. The sun’s rays are most aggressive between 10 a.m. and 4 p.m., so staying indoors between these hours is recommended. However, we understand that this is not always realistic, so throwing on a floppy hat or wearing woven materials and dark fabrics can actually help to protect you during this time as well. Make sure to spread on the SPF generously these next few months and that you’re using an SPF 15 or higher. There are quite a few skincare products that The Spa at The SHAW Center carries as well that can work as armor against the sun. Revision Skincare’s Intellishade, which we sell at our Spa, works as a tinted anti-aging moisturizer and also employs UVA and UVB protection. The Oclipse Sunscreen + Primer SPF 30 is another amazing product by ZO Skin Health, which is a line we also know and trust here at The SHAW Center. So often we forget to protect sensitive spots, such as our hairlines, chests, noses and hands. The Skin Cancer Foundation reports that 80 percent of skin cancers occur on our necks, hands and heads. Remind yourself to be weary of the areas we wouldn’t necessarily think of first, and always, always use sunscreen on these spots! The Spa at The SHAW Center offers both CoolSculpting and now SculpSure. With two CoolSculpting machines (DualSculpting) and the SculpSure, which has four separate panels, we can now treat as many as 6 areas in just on hour! These non-surgical liposuction treatments are a total game changer and help to target fat in even the most stubborn areas. While these two fat reduction alternatives are both extremely effective, it is important to know the difference between the two. CoolSculpting takes one hour or more per applicator, often requiring four hours to treat the entire adbodem, while SculpSure takes only 25 minutes for up to four applicators. Both procedures are virtually painless. SculpSure utilizes a flat non-suction applicator with a cooling plate that is easily tolerated. CoolSculpting uses suction based applicators and the post procedure massage can be quite uncomfortable. The desired results from both of these procedures can be quite fulfilling. However, they both produce different timelines for when one might see these results. SculpSure can reduce up to 25% of fat pockets and usually takes anywhere from 6 weeks to 3 months for optimal results. 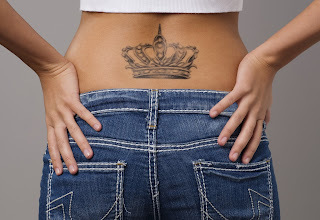 CoolSculpting will show signs of permanent fat reduction of around 22% in 2-4 months. CoolSculpting’s treatable areas are limited based on the applicator design, whereas SculpSure can target the abdomen and love handles, as well as a multitude of other areas, such as under the chin, arms and thighs because of the applicator’s flexibility. If you haven’t already signed up for The Spa at The SHAW Center’s SculpSure event this Tuesday, May 17th from 5 to 7 pm, call our office at (480)767-1900 to see if we still have a spot for you! We will have a real life SculpSure demo, complimentary consults, special event pricing, giveaways, as well as beverages and bites. You won’t want to miss out! Recently, plastic surgery has been on the rise. 15.6 million people in the United States had a cosmetic procedure in 2014, a 3% increase from 2013 and a dramatic 104% increase from 2000. With a surge in procedures, plastic surgery has become more widely accepted and has also opened the door for new non-invasive procedures. Instead of boring holiday gift staples like socks or a scarf, here’s our guide to skin and body services for everyone on your list. For the clean freak: Clarisonic. This facial cleansing tool has become a household name and makes a great gift for those who are skincare obsessed or like things a little more squeaky clean than the rest of us. Not only does it purify pores on the daily, it also helps even skin texture and fight off fine lines. For the poolside enthusiast: Sculpsure. In Arizona, pool season gets here early. Give the gift of a bikini-ready bod with brand new Sculpsure. The revolutionary laser reduces fat permanently with less treatments and zero downtime. For the extra scruffy guy: Laser Hair Removal. Although it might not be a daily topic of conversation, no one likes unsightly hair (ew!). Help out with a package of laser hair removal session to get him ready for beach vacays and whatever else comes along in 2016. For the celeb-obsessed: Lip Augmentation. 2015 was the year of the Kylie Jenner lip and women everywhere are jumping on the bandwagon to achieve volume-packed lips like the teen social media queen. Pump up your gift game this year with injectable fillers that not only increase pout size, but also smooth lips and rejuvenate the entire mouth area. For the selfie pro: Smart Lipo Neck. This profile-perfecting procedure uses a laser to melt fat and tighten skin. With almost no scarring (the incision is only one millimeter), downtime is minimal. Grab a selfie stick and make it a packaged gift. 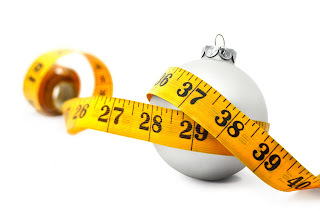 During the holiday season, weight gain is something millions of Americans face each year. Overeating too often and not exercising enough can easily add up. Even if weight gain is not dramatic, getting rid of the extra pounds can be a challenge and most people who gain weight between Thanksgiving and New Year’s Eve don’t lose the weight which adds up year after year. 1. Keep treats out of the house: With sugary desserts everywhere you turn, temptation is at an all-time high. Even though there’s nothing you can do about goodies at parties or at the office, try to keep them out of your pantry to cut down on excess snacking. 2. Don’t drink your calories: When you go to a party, be conscious of what you are drinking. Although eggnog and other holiday-themed drinks are fun, many have 350 calories or more per glass. It’s ok to indulge a little, but try to stick to your regular drink choices and intake as much as possible. 3. Be mindful about what your body needs: Getting enough rest between parties and maintaining your workout routine is crucial to keeping off extra pounds. If you plan on indulging at a party, up your workout efforts a bit to counterbalance what you eat and drink. 4. Remember what the holidays are really about: This time of year is a great way to connect with family and friends. Although enjoying food is a part of celebration, it shouldn’t be the main focus. Put in an extra effort to get to know someone through conversation or hit the dance floor instead of sitting around the buffet. 5. Take time out for yourself: Between shopping, entertaining and a full schedule of events, make sure you are taking enough time to relax and do things to help you look and feel your best. If you’re worried about weight gain, counteract it with a non-invasive treatment like SculpSure to get rid of stubborn fat. Not only will you get a head start on your 2016 goals, taking care of yourself can also keep you motivated to stay on track, even with the added temptation. Most plastic surgery procedures can be performed out of state, and in fact it is not uncommon to explore your options by searching around the country for your preferred physician. Most might find undergoing cosmetic surgery out of town more appealing due to the ability of being able to recover privately and out of the eyes of family and friends. Confidentiality is key, and the SHAW Center ensures a customized and comfortable recovery period based on your specific needs and wishes. The process for out-of-town patients is made as seamless as possible when going through our surgical center. First, have a friend or spouse help you take photos of the areas you’re concerned with, and send them via email at info@theshawcenter.com, which will go directly to Dr. Shaw for review. Following this you will want to schedule a phone consultation to voice your concerns, hear out Dr. Shaw’s recommendations, as well as discuss recovery plans. Shortly after, your patient coordinator with help you in scheduling your surgery date along with pre and post-operative appointments. While maintaining your privacy during recuperation is essential throughout this process, making sure you have your spouse, a close friend or a family member by your side is also extremely important. Depending on the surgery, you may not be able to do everything yourself the first couple of days right after the procedure so having someone to assist you will allow you to fully focus on recovering. Unless specifically recommended otherwise by Dr. Shaw, typically wearing loose-fitted clothing is recommended after your surgery. No need to pack any muumuus, but relaxed fits and sweatpants are ideal being that they’re extremely easy to get on and off. Celebrate your Dad this Father’s Day by treating him to one of the “cool”est gifts. Cosmetic surgery isn’t just for women, and CoolSculpting works just as effectively on men as it does on women. We’ve all been witness to the latest “Dad Bod” craze, and we’re not saying that it’s something the men in your life shouldn’t embrace, but a little fast-fix toning never hurt either. It’s body contouring without having to undergo a surgical procedure. CoolSculpting employs Cryolipolysis, which is a patented method that uses carefully controlled cooling to reduce fat. Once the cells are treated, they are gradually eliminated through your body’s own metabolic processes, reducing the thickness of the fat layer. If you’ve already improved your figure through dieting and exercise, and the pockets of fat you want to target are smaller, then CoolSculpting is the ideal solution for you. This noninvasive procedure is best suited for the waist, upper/lower abdomen and inner thighs. We know how busy Dads can be with work and everything else going on in their lives, but with CoolSculpting there’s relatively no downtime so he wouldn’t have to worry about taking time off. The Shaw Center has been a Certified CoolSculpting Center since 2011, and not only that but with 25 total years of general body contouring experience means sound advice on the best option to reach your aesthetic goals. This CoolSculpting Father’s Day Special will give you half off the second area when you buy the first one for Pops. This offer is only valid for men and expires June 30, 2015 with the procedure needing to be scheduled before the following September. This still gives Dad plenty of time to make his consultation in order to assess what parts of his “Dad Bod” could be made better. 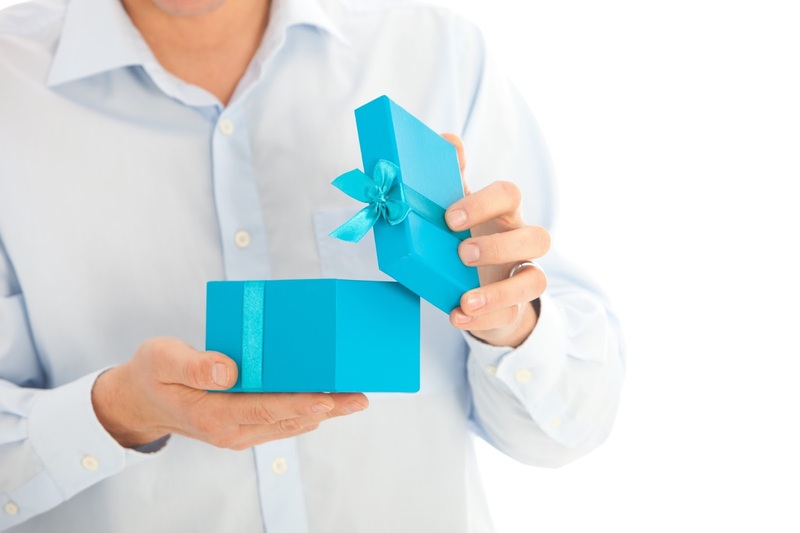 Sure, you can really shock Dad this year by gifting him with the usual new tie, but why not give him something that will truly make him happy even when he’s not dressed in a suit? After all, he’s probably earned it. Call The Shaw Center at 480-767-1900 to learn more about this special offer!